The Carlisle 4037300 Sparta® basting brush has bleached and sterilized boar bristles that are double-boiled for lasting durability. 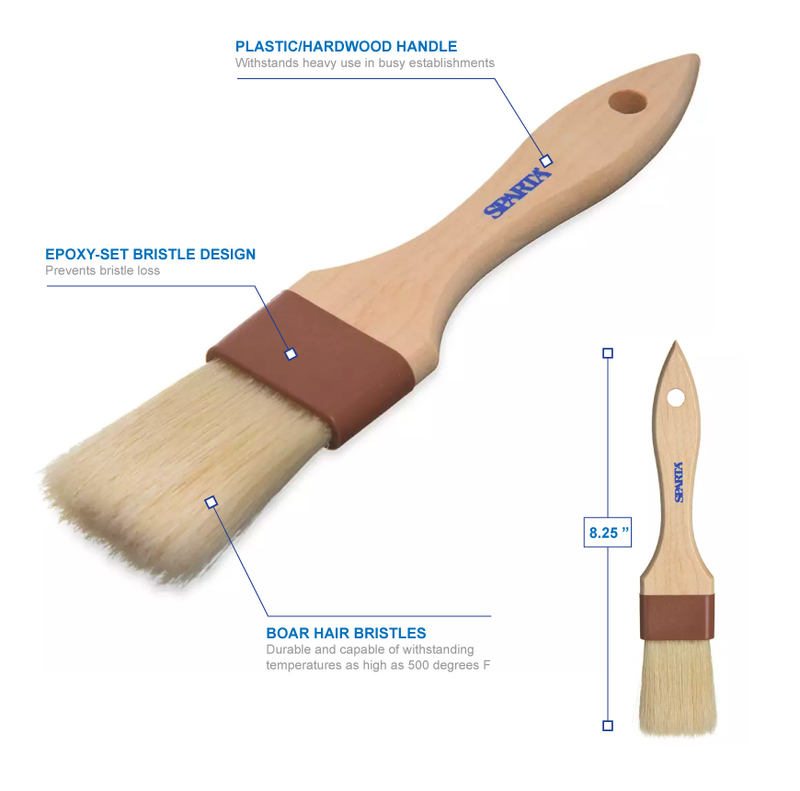 Perfect for high-heat basting, these bristles are safe in temperatures as high as 500 degrees Fahrenheit. Since they are epoxy set in nylon ferrules, they will not harbor bacteria or fall out with regular use. 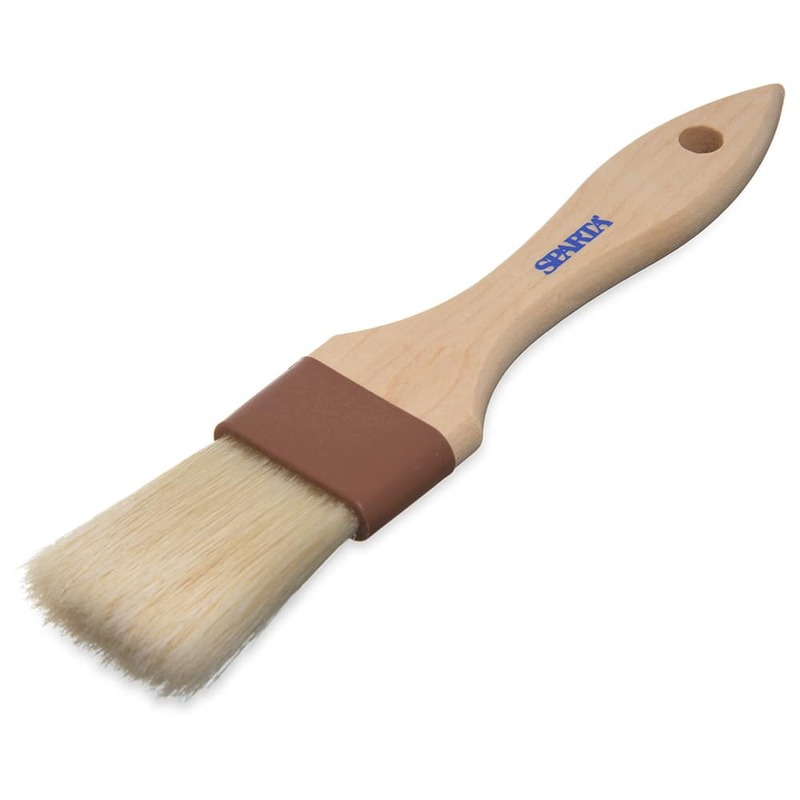 This brush has a plastic handle that provides durability to support heavy use. In our foodservice brush buyers' guide, we cover the features of basting and pastry brushes.